YouTube--a place where thousands of videos get uploaded onto every single day. Even the word ‘YouTuber’ was nominated as buzzword of the year in 2017. And now, the latest buzz revolves around virtual YouTubers, who appear on YouTube as 3D avatars! Now that the technology to create motion capture has become easier for the general public to attain, the age where anyone could become a virtual idol has finally come. So we’ve all got to jump on the bandwagon and have fun together! 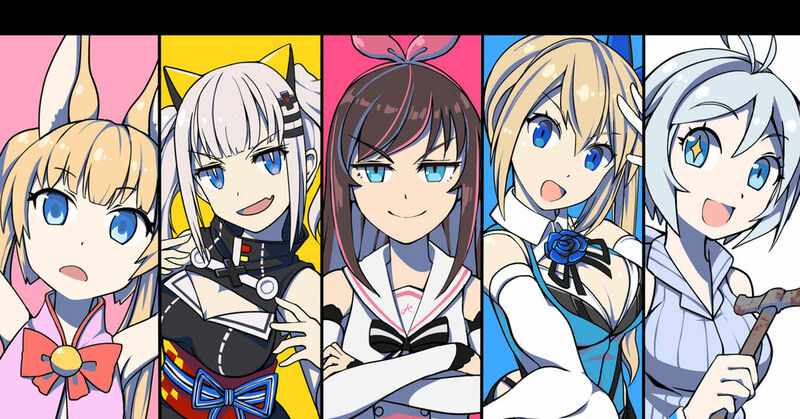 Today we have selected several fanarts of some of the most popular virtual YouTubers. Enjoy! Virtual Artist Camomi Camomi gives VRoid Studio a try!